At NCDEX, May contracts for steel ended on INR 26,070 an increase of INR 600 for the day ending on 3rd May 2010. This upward trend was on the back of increase in the cost of raw materials like iron ore and coking coal. 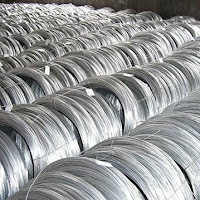 Moreover, an increased demand by various sectors like automobile and infrastructure also played a positive role in driving the prices of steel.